Thank you to Lauren for emailing me this fabulous find!! 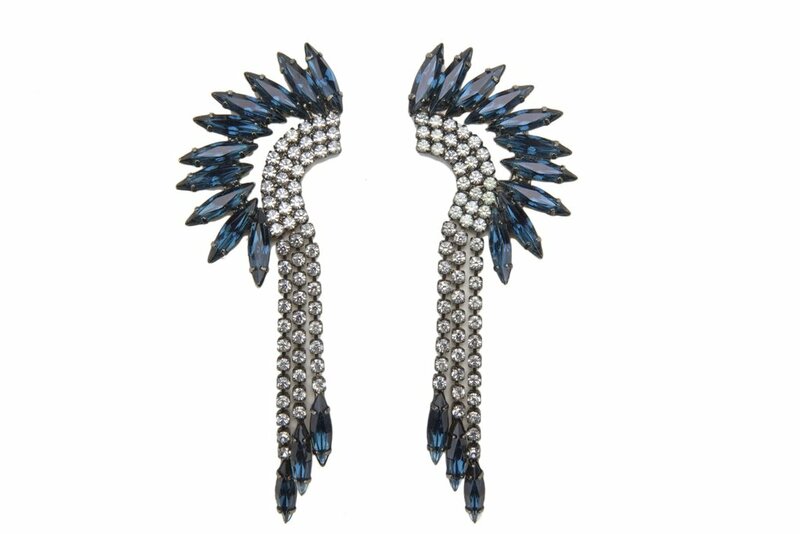 Elizabeth Cole's blue crystal mohawk earrings retail for $238. 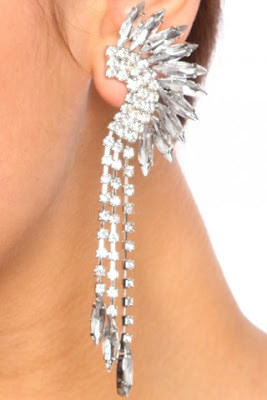 Loving the look of these funky earrings but can't stomach the price? 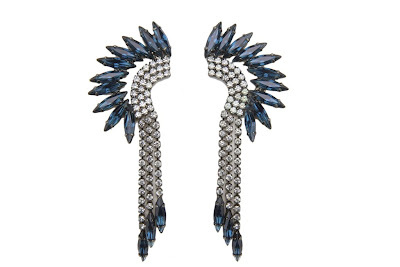 Check out these great lookalikes Lauren spotted from Shop Nasty Gal. They retail for $22 and will give you an incredibly similar look 4 less. Click here to purchase or for more information. Go Jane also has a version in gold, which retail for $15. Click here to purchase! 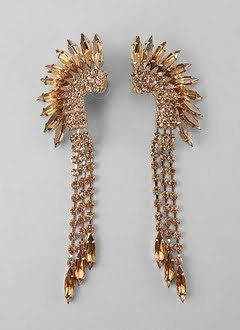 ohh those are radical!! great find!